Confirmed by data taken by MODIS, the Moderate Resolution Imaging Spectroradiometer aboard NASA’s Terra and Aqua satellites, a 120 square km ice island has broken off from Greenland’s Petermann Glacier. 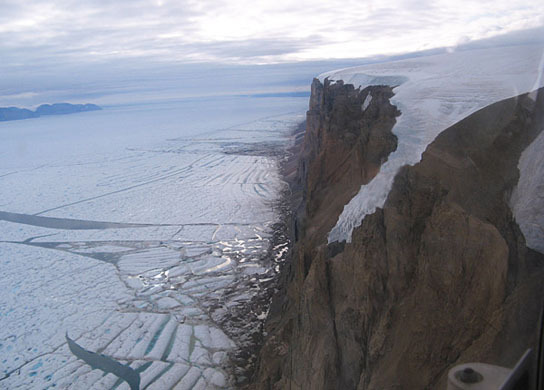 An ice island twice the size of Manhattan has broken off from Greenland’s Petermann Glacier, according to researchers at the University of Delaware and the Canadian Ice Service. The Petermann Glacier is one of the two largest glaciers left in Greenland connecting the great Greenland ice sheet with the ocean via a floating ice shelf. 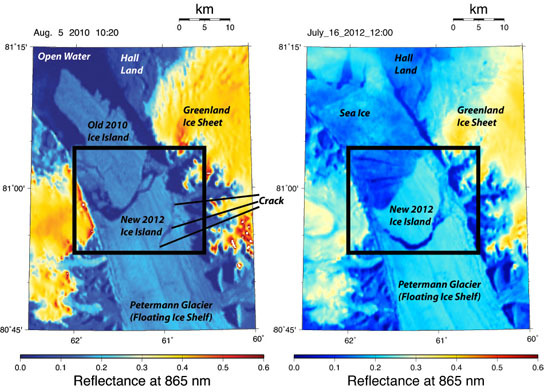 Be the first to comment on "Massive Ice Island Breaks Free from Greenland’s Petermann Glacier"